With the winter season in full swing, the hunt for the best boots and ankle booties rages on! The first retailer we turn to when we’re shoe shopping is Zappos because of the endless options, easy customer service access and those helpful, detailed reviews! We currently have our eyes on what are literally the most loved booties on the site. The Sam Edelman Petty ankle booties have taken the number one spot on the most loved page for ankle booties and we totally understand why. Seriously, Zappos shoppers, we read your reviews and take them very seriously. 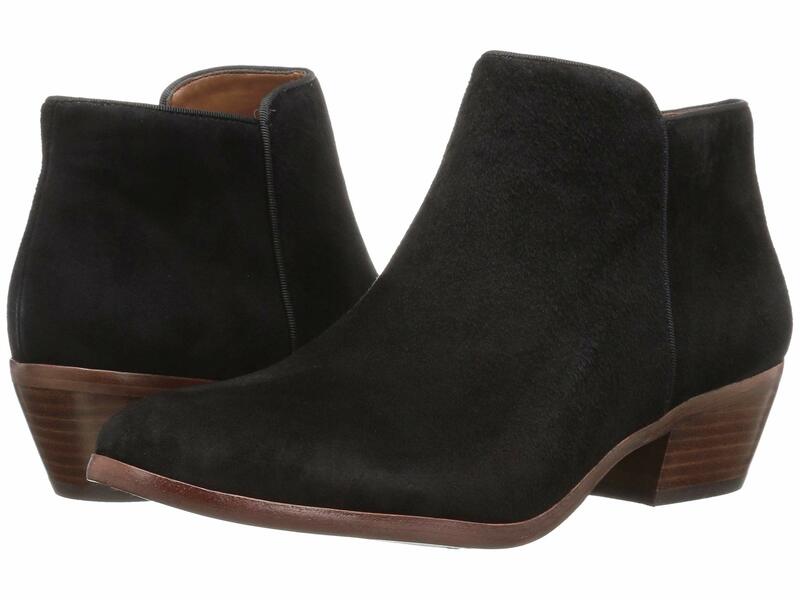 See it: Scoop up the Sam Edelman Petty Ankle Booties starting at $96 while so many sizes are still in stock. Additional colors and textures are available at varying prices (and many are even on sale!) Prefer a different style? 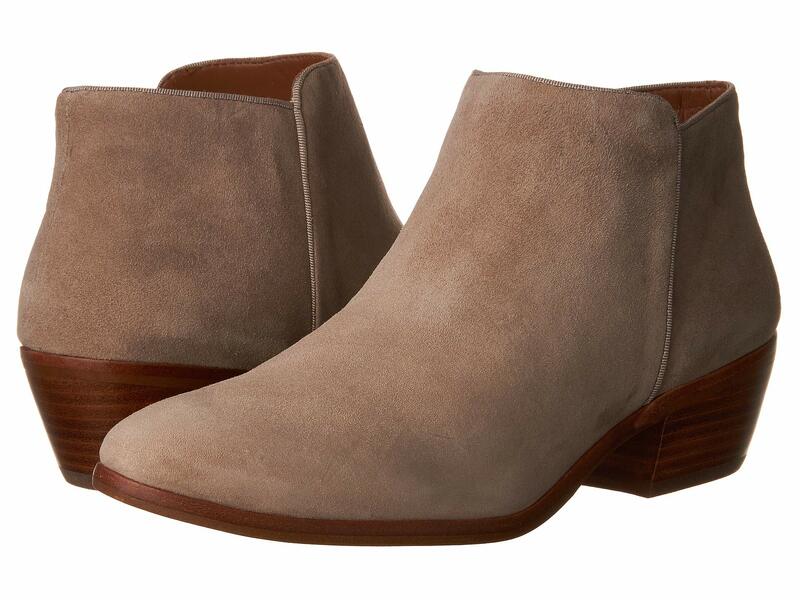 Check out more of the most loved ankle booties at Zappos. With an asymmetrical shaft, a narrow toe and a chunky, stacked heel — this ankle bootie is effortlessly chic and made to be comfy! We love that the short heel and a lightly cushioned footbed make this a footwear choice we can wear for style and comfort. The ankle bootie comes in four different styles at different prices. The options are black suede, black cow hair, animal print cow hair and Putty suede (tan). Sizes start at 4 and go all the way up to 13! The black suede is a great everyday shoe option since it will mostly match well with anything else we wear from sweater dresses to our favorite skinny pants and sweater combinations in a variety of colors. Meanwhile, the tan shade is great for any time we want to use a light neutral hue to break up an ensemble full of primarily dark colors. We could also wear the tan shoes with other neutrals like a cream sweater dress and a matching longline cardigan. Shoppers who own enough leather and suede footwear might love the black version of the ankle bootie in the cow hair option. For a look that plays with textures, we can step out wearing the black cow hair ankle booties with a chunky cable knit sweater, skinny jeans, a scarf and a faux fur jacket. 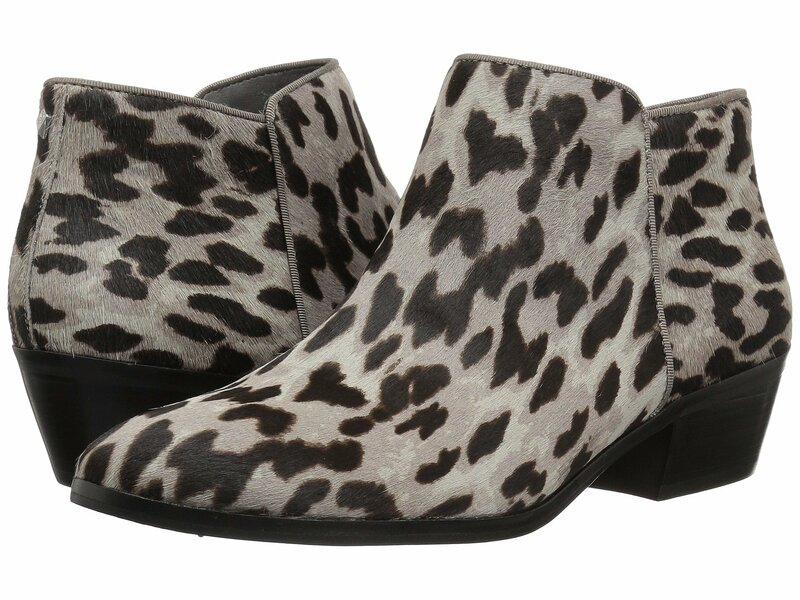 The animal print version of the ankle bootie is a great way to play with a print and different texture at the same time, thanks to the cow hair. We’ll be wearing this version of the shoe with an all-black ensemble so the animal print is the star of the look. The Sam Edelman Petty Ankle Booties have earned over 1,000 positive reviews with a good number of shoppers sharing that they own more than one pair. The most popular colors ordered are black and Putty (tan). Shoppers loved that the leather and suede felt super soft and that the ankle booties are comfortable to walk in thanks to the low wooden heel. One of the most repeated points in the comments is that the booties felt comfortable straight out of the box and needed no breaking in time! One shopper mentioned that she stands up for long periods of time at work and that these are her go-to ankle booties for looking chic while keeping her feet comfy throughout the day. Another shared that she wears orthotics that fit inside these ankle booties perfectly. Reviews also revealed that shoppers wear these booties with literally everything including skinny pants, leggings and long skirts during the cooler months and with minidresses and cutoffs in the summer. Many did note that the booties run narrow so it’s important to eye the size guide carefully and either size up completely or grab your size in wide to get the best fit. 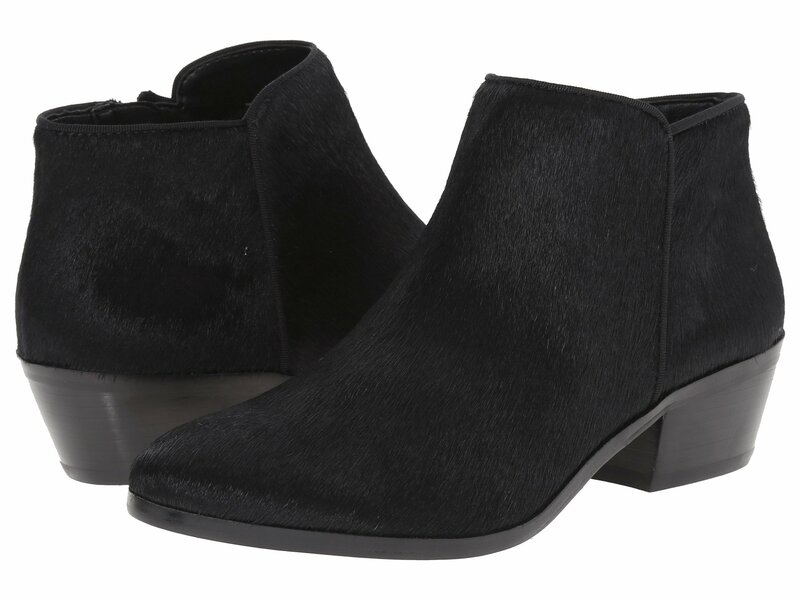 Multiple shoppers noted that these ankle booties were their introduction to Sam Edelman and that they are inspired to try more shoes by the brand. We’re keeping comfy and chic in these beloved ankle booties!